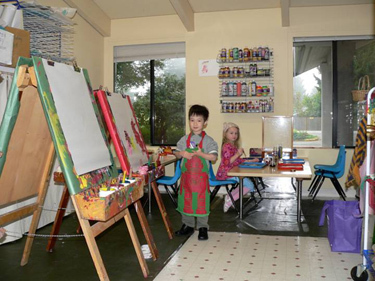 In the art room, children have fun crafting and creating. 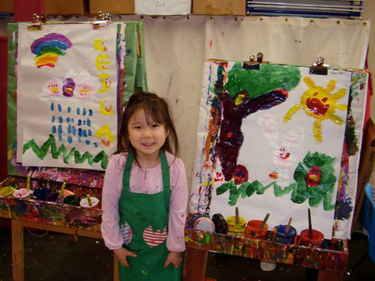 There is always painting, play dough and a special craft activity. 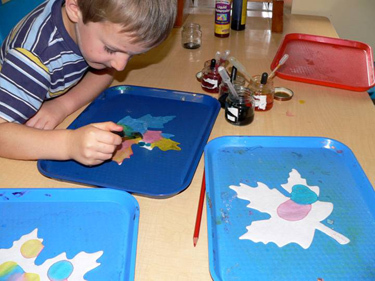 The special craft activity focuses on the development of fine motor skills. Parents take turns providing snack. Children wash hands before and after snack. They serve themselves and clean up after themselves. 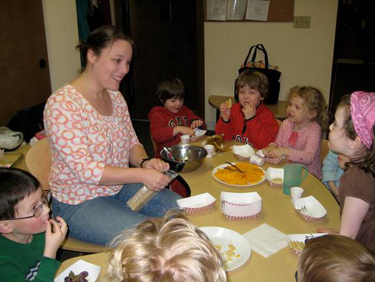 Snack time is a time to learn about manners, conversation and being part of a group. 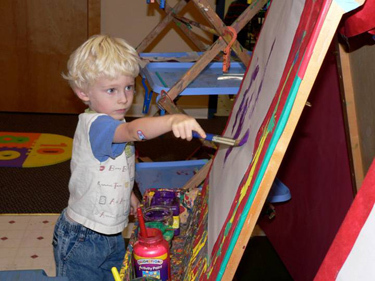 Children develop fine motor control by cutting, spreading, and pouring. Water is the only beverage offered at snack time.